Autoclave for Composite Process, July 2012 The latest addition of our large units, build on site in the Eastern USA to manufacture composite parts. 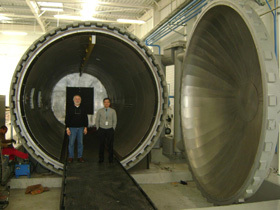 Autoclave has 7 meters diameter x 22 meters long. 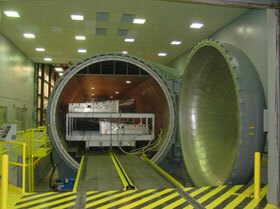 GKN Aerospace, Bristol UK, Autoclave for Composite Process, November 2012. 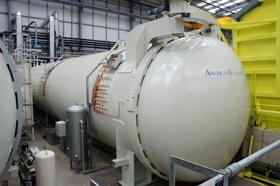 This autoclave was manufactured in our plant in England. 4 meters diameter x 18 meters long, to produce parts for the new AIRBUS 350 and 400. 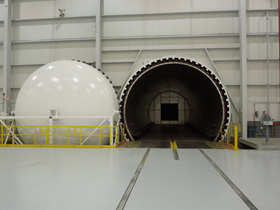 Spirit/Vought Aircraft, Nashville Tennessee, USA, Autoclave for Creep Age Process, December 2011. 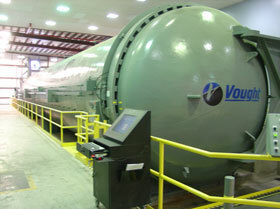 This autoclave was manufactured and designed for Creep Age Process. 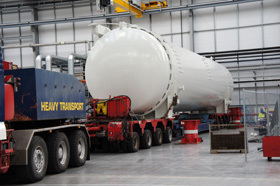 One of our largest units, 6 meter diameters x 28 meters long, it was build on site. 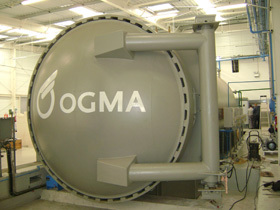 OGMA Aerospace, Lisbon Portugal, Autoclave for Composite Process, December 2010. 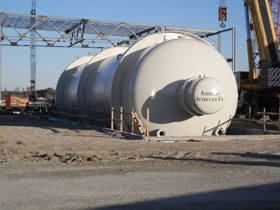 This autoclave was installed from our Company in Europe, to produce parts for EMBRAER and Lockheed Martin, autoclave diameter is 4 meters x 14 meters long.